MEGHAN Markle's former Suits co-stars Gabriel Macht and Sarah Rafferty have revealed their favourite moments from Markle's fairytale wedding to Prince Harry. 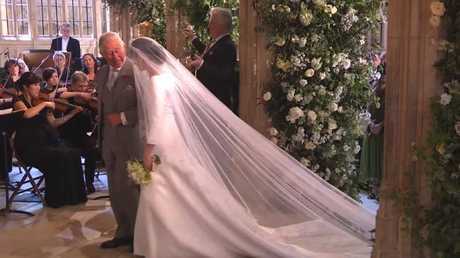 Rafferty gushed about seeing the now Duchess of Sussex walk down in the aisle in her custom Givenchy wedding gown. "It was a wonderful moment to get to see [Meghan] on that day and in that moment," the actress told Entertainment Tonight. "It was special." The 45-year-old star, who played one of Markle's closest confidantes in the series added, "Seeing [Meghan] walk in on her own, in that moment before she met up with Prince Charles to walk the rest of the way, that was amazing." Both Rafferty and Macht were part of the lucky 600 people who were invited to take part in the royal wedding ceremony at St. Georges Chapel, and they were also part of the 200 guests who were invited the exclusive wedding reception, which took place at the elegant Frogmore House. "It was surprising to see Elton John play 'I'm Still Standing.' He's still standing, he was incredible and that was an incredible moment," Macht said of the wedding lunchtime reception after the ceremony. Kensington Palace later confirmed that the iconic singer, who attended the wedding sporting bright, pink shades, also performed at the intimate wedding lunch and sang hits like Tiny Dancer. "I think, overall, just to be a part of such an uplifting story, you know? A story of inclusion, love -- and there's so much stuff out there that's so depressing and dark," Macht added. "This was just a remarkable day to go and support her and the royal family and it was an amazing time." In addition to Macht and Rafferty, another one of Markle's Hollywood friends, Janina Gavankar, recently opened up about attending the wedding and her favourite part of the ceremony. "We all danced until the wee hours. 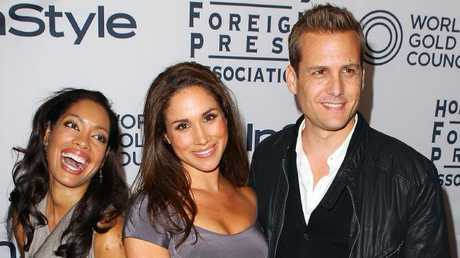 We partied and celebrated and ate sliders at 2 in the morning," Gavankar told Town and Country magazine. "It was such a beautiful day and a carefree night, and it was a very powerful day in history. And I think everybody felt it across the world."